"No matter what the circumstances may be, being an enlightened Buddhist is eternal," Nawapoomin says. 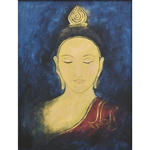 Buddha images will similarly appear to be eternally serene whatever the posture. 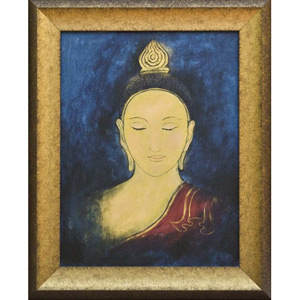 Here, Nawapoomin depicts the serene face of Buddha.